Below you fill find all funeral homes and cemeteries in or near Gallup. Suburbs of Gallup: Chi Chll Tah, Defiance, Fort Wingate Army Depot, Manuelito, Pinedale, S W Indian Foun, Senator Clarke Field, Tohlakai, Twin Lakes, Williams Acres. Gallup is also known as: McKinley County / Gallup city. Their current mayor is Mayor Jackie McKinney. Zip codes in the city: 87301, 87302, 87305, 87310, 87317, 87319, 87326, 87375. Some of the notable people born here have been: Jock Soto (ballet dancer), Mike Everitt (baseball umpire), and Sydney Freeland (screenwriter and film director). 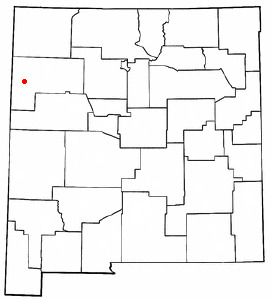 Gallup (Navajo: Naʼnízhoozhí) is a city in McKinley County, New Mexico, United States. The population was 21,678 at the 2010 census. It is the county seat of McKinley County and the most populous city between Flagstaff and Albuquerque. Gallup was named as the winner in the 2013 Best of the Road contest by Rand McNally as the "Most Patriotic Small Town in America 2013. "It is on the Trails of the Ancients Byway, one of the designated New Mexico Scenic Byways. It was disclosed by Napa Valley Register on May 23rd, 2018 that Clara Marie Johnson (Biava) passed away in California. Ms. Johnson was 84 years old and was born in Gallup, NM. Send flowers to share your condolences and honor Clara Marie's life. It was noted by San Antonio Express News on February 10th, 2018 that Siria C Belmares (Lopez) died in San Antonio, Texas. Ms. Belmares was 94 years old and was born in Gallup, NM. Send flowers to share your condolences and honor Siria C's life. It was disclosed on February 2nd, 2018 that Heath Allen Stallings passed away in Oklahoma City, Oklahoma. Stallings was 50 years old and was born in Gallup, NM. Send flowers to express your sorrow and honor Heath Allen's life. It was disclosed on November 10th, 2017 that Henry Mark "Penner" Livingston passed on in Sunnyside, Washington. 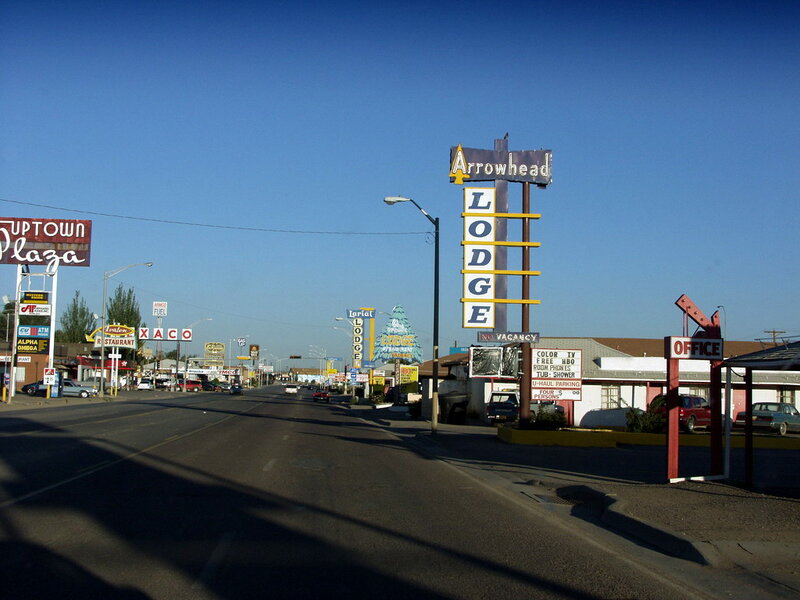 Livingston was 49 years old and was born in Gallup, NM. Send flowers to express your sorrow and honor Henry Mark "Penner"'s life. It was written by Grand Island Independent on May 25th, 2016 that Andrea Ramirez (Antonio) died in Grand Island, Nebraska. Ms. Ramirez was 39 years old and was born in Gallup, NM. Send flowers to share your condolences and honor Andrea's life. It was reported on April 13th, 2016 that Dale Oliver Simonson passed away in Gallup, New Mexico. Simonson was 66 years old and was born in Palmer, NE. Send flowers to express your sorrow and honor Dale Oliver's life. It was revealed by Arizona Republic on January 31st, 2016 that Manya L Winsted (Long) died in Show Low, Arizona. Ms. Winsted was 76 years old and was born in Gallup, NM. Send flowers to share your condolences and honor Manya L's life. It was disclosed on November 14th, 2015 that Virginia Haydu (Frost) perished in Billerica, Massachusetts. Ms. Haydu was 78 years old and was born in Gallup, NM. Send flowers to share your condolences and honor Virginia's life. It was written on October 28th, 2015 that Sean Sather perished in Gallup, New Mexico. Sather was 47 years old. Send flowers to share your condolences and honor Sean's life. It was written by Tri-City Herald on July 11th, 2015 that Gerald Russel Chiaramonte passed away in Richland, Washington. Chiaramonte was 67 years old and was born in Gallup, NM. Send flowers to express your sorrow and honor Gerald Russel's life. Gallup is located at (35.523750, -108.734088) . . . . . The official website for the city of Gallup is http://www.GallupNM.gov/. Federal mandates have not improved New Mexico schools, and the monies and testing requirements ... Mullins said he supported additional service facilities in Shiprock and Gallup and a voucher system for veterans so they can get care where they want. Listing all funeral homes in Gallup, New Mexico so you can easily send flowers to any location (same day delivery) or find any funeral service. Find a Funeral Home inGallup, New Mexico NM to provide the caring burial and ceremonial services your family deserves. We work with local florists and flower shops to offer same day delivery. You will find budget sympathy flowers in Gallup here. Our funeral flowers are cheap in price but not in value.